Vintage metal wall system from the 1950s of the Dutch mark Tomado. 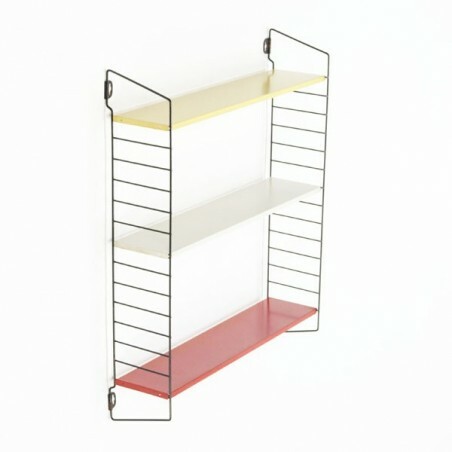 The color of the metal shelves is red, white and yellow. 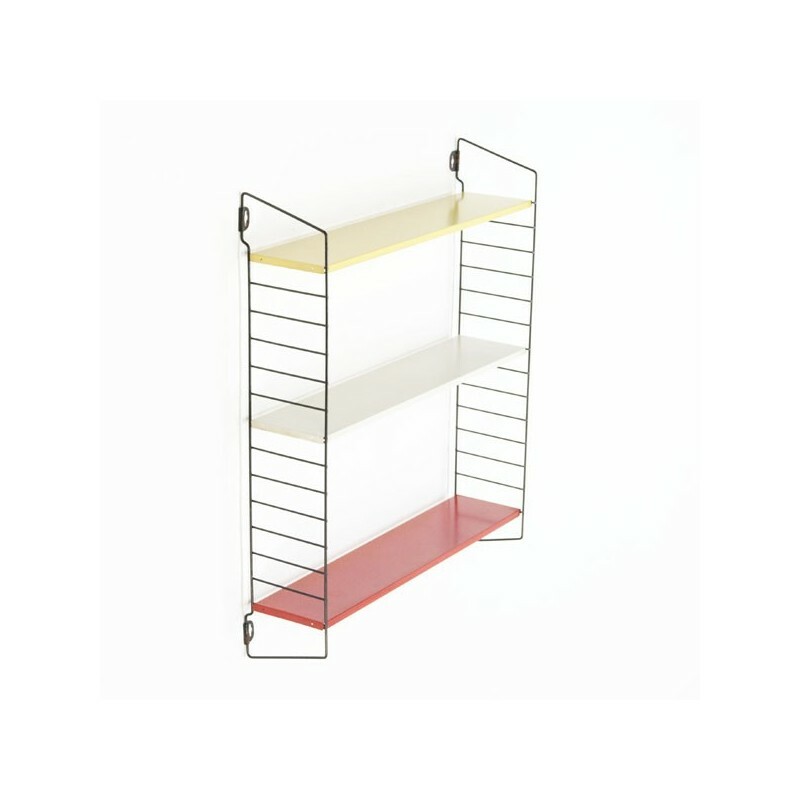 The length of the shelves are 47.5 cm the wall parts are 60.5 cm high and the system is 13 cm deep. The condition is good.